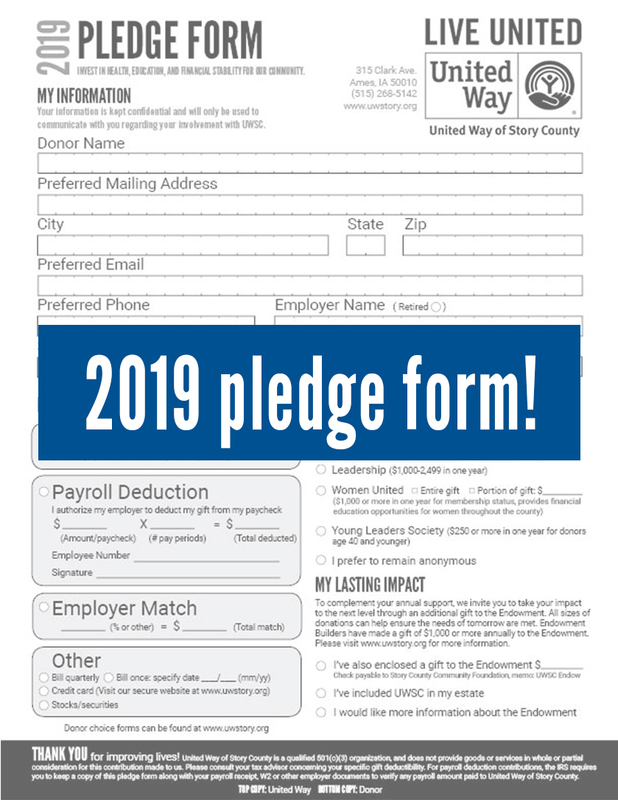 **United Way of Story County encourages you to support many needed community services with one gift. 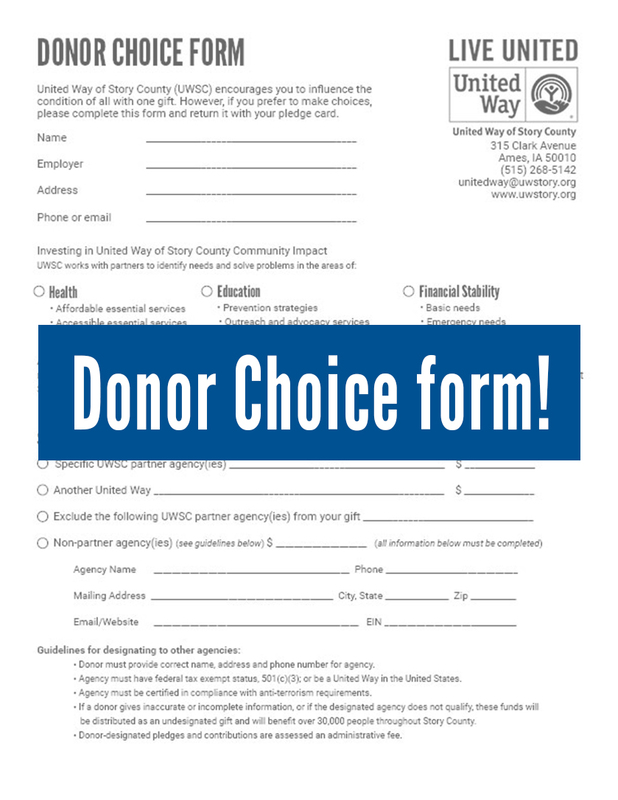 However, if you prefer to make choices, please complete the donor choice form above and return it with your pledge form. Please call (515) 268-5142 with questions. 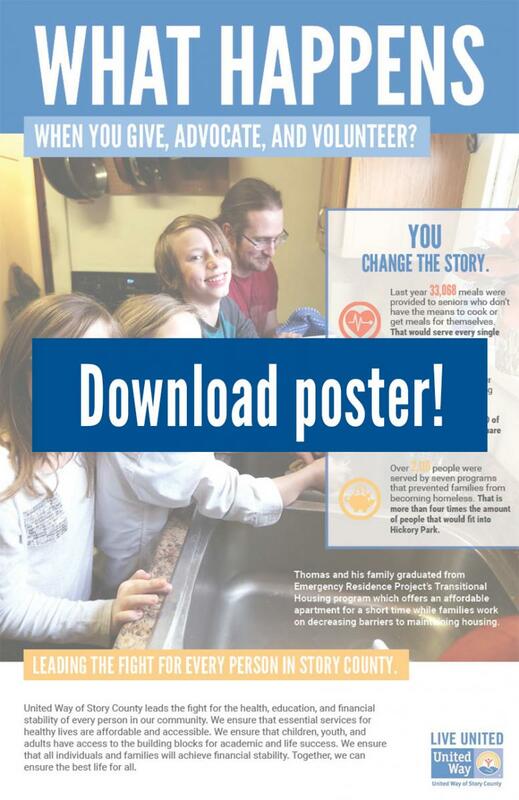 Note to federal employees: United Way of Story County is included in the Northern Lights Combined Federal Campaign. Please visit www.northernlightscfc.org and use code 44797 for online pledging. 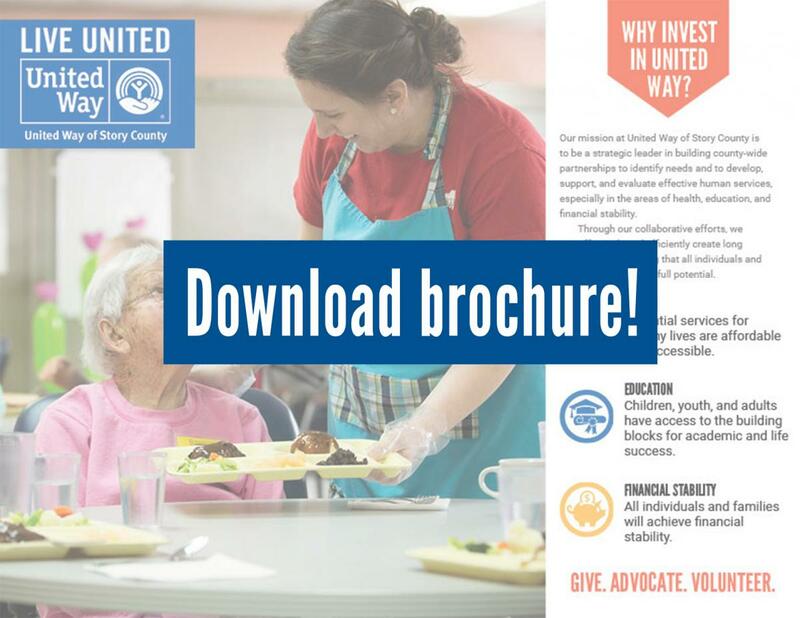 See the impact of your contribution to local agencies.